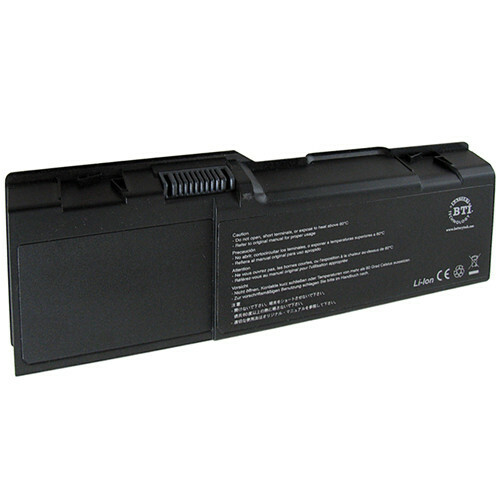 The DL-1525 Premium 6 cell 5200mAh 10.8v Laptop Battery from BTI provides the user additional power when needed. BTI stands behind their products as they provide the highest quality products to not only meet but exceed the standards set in place by the manufacturer. With an 18 month warranty you can rest assured that if the battery falls below those quality standards BTI will stand behind their product. Whether at home or on the go this battery pack provides you with the extra power you need. This BTI battery is built to the highest quality standards to not only meet but exceed original manufacturers' specifications. Box Dimensions (LxWxH) 9.87 x 5.9 x 1.6"